Last month I shared how unsatisfied I was with my current cell phone plan. With my previous cell phone service, I only had a basic cell phone and a basic plan. I have always wanted an Android phone, but I was unwilling to part with the money each month that was a part of having a smart phone. As a blogger, I would love to be able to have quicker access to emails and social media for my readers. As a mom, I wanted to have instant access to share cute photos of the kiddos on Facebook and Instagram. However, since having the triplets I’ve had to quit my full-time job, which doesn’t leave much extra money for “luxury” services. Receiving my Samsung Galaxy has opened up a whole new world! I can honestly say that I adore this phone. It is easy to use for an “Android Beginner”. I get immediate notification of Facebook statuses and two different email accounts. Rather than each text showing up individually, my texts now show up as a conversation. The phone takes great pictures, and I even had the opportunity to take a video for my blog on my phone. I was amazed at the quality of the photos and video. It was much more advanced than my old phone! The phone is stylish and the keypad letters are large enough for my fingers to text without mispelling too many words. I like the Instagram feature, even though I’m still trying to figure out all the exact ways to utilize the application. And, to recap for those who missed my first review, the phone comes in a sturdy box complete with instructions and a nice charger. The price for the Walmart Family Mobile plan definitely can’t be beat. $40 for an unlimited cell phone plan?? Doesn’t it sound too good to be true? It really is awesome. And the service allows adding additional lines at a reduced costs, as I alluded to in my previous post and shopping trip. The Walmart Family Mobile plan is approximately the same price as my previous plan, except with this plan I get unlimited web, as well. Yay! As a busy mom, the ability to pay my bill online via online account management is a plus. The plan is a sort-of pay-as-you-go plan, so at the end of the month I received a text reminder to go online and pay my bill. I need all the reminder information that I can get, so I liked this feature. Bills that I get in the mail sometimes get thrown in a pile to only later resurface, so text reminders are great! For more information regarding service coverage areas or terms and conditions, visit the Walmart Family Mobile website. Having a data plan means that I’m able to easily access recipes and other information on the go. There have been so many times that I’ve been in a store, wanting to purchase items to make a new dish, and realize that I forgot the list with the needed ingredients! Oops! With my new phone and plan, I’m able to look up a recipe in-store and buy the ingredients then and there. My little girl also likes my new phone because I’ve been able to download a few games for her off of the Google Play app. This is a lifesaver for those moments when the kiddo just needs to be entertained. How is your cell phone plan? Are you satisfied with the features for the money or would you like to try out a cheap wireless plan, too? Thank you for sharing your experience, too! Thanks for sharing!! Love the phone and it’s so cheap!! I think the Android phones are SO intuitive, they are really designed for beginners! So glad you shared your experience with this phone, I’ve been thinking about what to get on my next upgrade next month! I have the Galaxy S4 and I’m very impressed with it. This is my first time owning a Samsung phone and I love it! My mom has this phone, and she loves it! I think she’s cooler than me these days, because her phone really does rock. 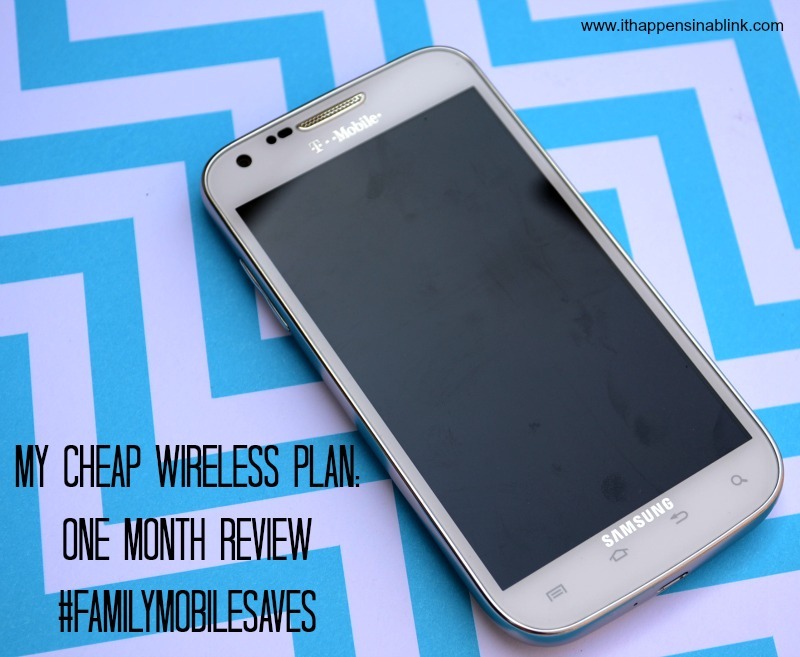 And, wow, I had no idea that the Walmart family plan was so inexpensive! I’m looking in to that, I’d love to save some money on a cell plan. Thanks for sharing! Wow! $40/month for unlimited service! That’s incredible! I don’t even want to share how much we pay for cell phones ’round here…. Great phone at a great price! Can’t wait till my current plan expires! I LOVE my Galaxy! It is so easy to use and the picture quality on it is amazing! That really does sound like a great deal! I’ll have to look into it when our contract is up! Great post. You have me sitting here, looking at my phone, wondering if it’s time for something better! it’s true, sounds too good to be true! That’s awesome! 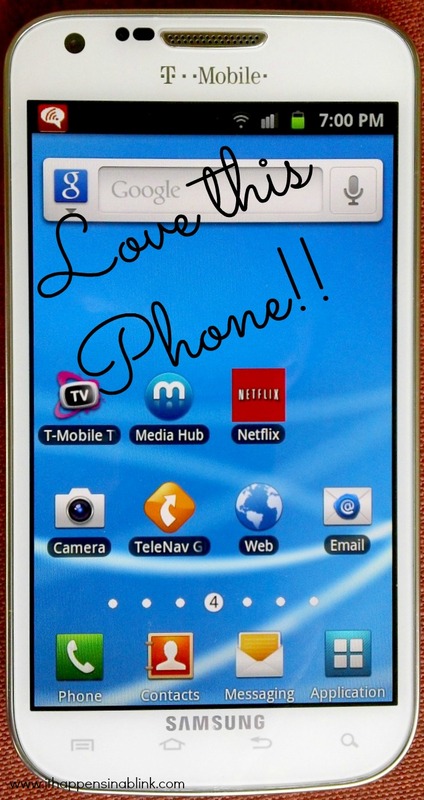 We use a prepaid plan for about the same price, but I haven’t upgraded to a better phone yet – so glad you like this one! I will definitely be checking this out!! Thanks for the information! 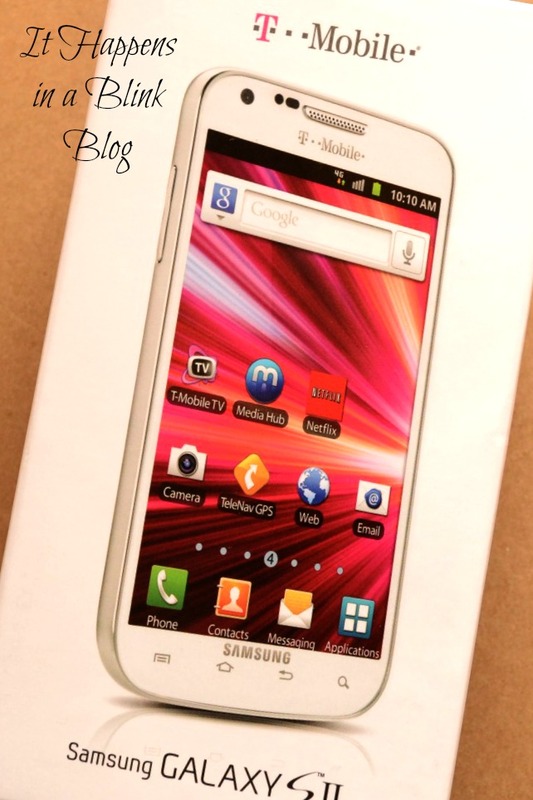 I just got a Samsung Galaxy & LOVE it! Can’t believe the low price of Walmart’s plans, I didn’t even know they had mobile plans! This sounds great. I am currently with Sprint and my plan is far from being cheap. These kinds of plans just amaze me! If we could have them, I’m pretty sure that’s exactly what we’d do. But alas, Canada rate plans are nowhere NEAR as awesome as what’s available in the States. We just don’t have enough competition up here. I don’t have a cell phone (I did, but have not for years) Now that my kids are getting older I will be forced eventually to get one. Everything I do text phone wise is free so I am working on not spending anything until I have to! When I do however, this sounds like a good plan to have! I have a Samsung Galaxy S II and I have been a loyal AT&T and Samsung user for about 5 years. I am thinking about switching to the iPhone when my upgrade comes around. Our cell plan is not cheap but we have to have data! I’d go crazy! I’m a big fan of the no contract trend especially for my kids. So many great options out there now. That phone! and the price of the plan! WOW!!!!! I had an iPhone and my plan was $80!!! not to mention the contract with hidden fees. My contract has expired and I’ve been looking for a no-contract option and this is it! Looks like you just save me $40 a month and from signing a contract! 😀 Thank you! I had no idea Walmart did family mobile plans until last week. However, it looks like by “unlimited web” they really mean you have a limit of 1GB. It’s pretty misleading but other than that it sounds awesome! That’s certainly cheaper than what I pay now. I LOVE my Galaxy!! Such a great and inexpensive plan they have!! Definitely something to think about!! Cellphone plans are pretty expensive in Canada as soon as you want to add on some data…. which I literally cannot go without hahah. Darnit. $40 for an unlimited cell phone plan.